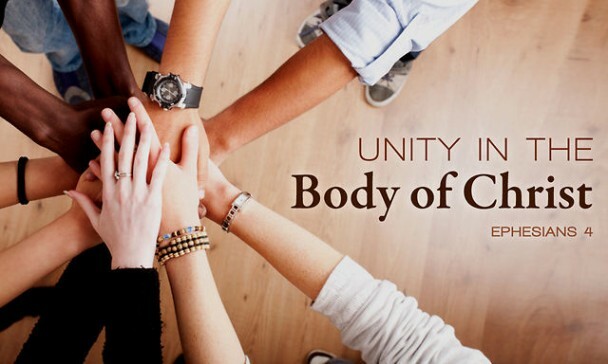 What is Unity in the Spirit Prayer Community? Unity in the Spirit Prayer Community is a group of people from varying backgrounds who meet regularly in an atmosphere of love and support for one another in an effort to grow in the knowledge and love of God, and to show this love in their attitude to their neighbor. Members seek to use gifts, also called charisms, given to them by the Holy Spirit at Baptism, to build up the community. Each prayer meeting is open to anyone who wants to come. Those who attend prayer meetings are predominantly Catholic Christians, but groups are open to anyone. People come to be refreshed and renewed in their relationship with Jesus. The prayer meeting has been a place where many many people have found a new dimension to their spiritual lives, and have discovered the love of God in a more profound way. St. Paul wrote in 1 Cor 14:26: "When you assemble, one has a hymn, another some instruction to give, still another a revelation to share, one speaks in a tongue, another interprets. Let all things be done to build up the community." Unity in the Spirit Prayer Community meets at 7:00 p.m. on the first Wednesday of every month upstairs in the Abba House of Mercy and Prayer at the Guadalupe Center on the Sacred Heart Campus. ​The meeting takes place in a relaxed atmosphere where joy and the love of God is emphasized, and where everyone is welcomed. God is praised with enthusiasm. Praise of God is characteristic of Catholic Charismatic Renewal, in line with the Catholic tradition in which praise permeates the liturgy, song, and prayer. The praise time beginnings the meeting and often lasts 30 minutes or more. The Unity in the Spirit Prayer Community at St. Andre Bessette Parish encourages people to incorporate praise of God into their whole lives, as in praising God we go out of ourselves and gaze at the goodness of God. Often people’s problems disappear when they begin to praise God, who gives them a new perspective on things. Praise focuses on the utter goodness of God, and celebrates his goodness in our lives. “Rejoice in the Lord always,” says St. Paul (Phil 4:4). We believe our joy should be expressed often in praise. Some parts of the prayer meeting are quiet. Silence forms an important part of the worship periods, and people are encouraged to listen to what the Lord is saying to them. Some will sense that God has a message of encouragement, exhortation, or consolation for the group, and will feel moved to speak this out. This is known as the gift of prophecy. Others receive a prompting regarding a healing the Lord wants to effect in someone's life. This is known as word of knowledge for healing. The Word of God in Scripture is often read and listened to, and regular teaching on Scripture and aspects of the Christian life instructs and helps people to grow in their spiritual life. Each prayer meeting has a teaching aspect. In addition to these times, there are times of prayer ministry, and times of intercession. People are encouraged to share what God has done in their lives (witness) as a most important way of building the faith of others. The book of Revelations proclaims, "They overcame by the blood of the lamb and by their testimony . . ." Rev. 12:11. There is much variety in prayer meetings. At Sacred Heart Church (St. Andre Bessette Parish) a Mass of Healing and Hope is celebrated monthly (click here for schedule) usually on the third Wednesday of the month. The Blessed Sacrament is exposed for adoration and many healings have been reported. Click here to discover what is the Catholic Charismatic Renewal all about? Click here to read what Pope Francis says about the Baptism of the Spirit.